Apart from having plenty of wonderful historic sites like the Royal Castle or Łazienki Park, Warsaw also sports many exceptionally important works of nature. Marked with plaques saying ‘Pomnik Przyrody’ meaning ‘Natural Monument’, they are vital parts of the city’s landscape. 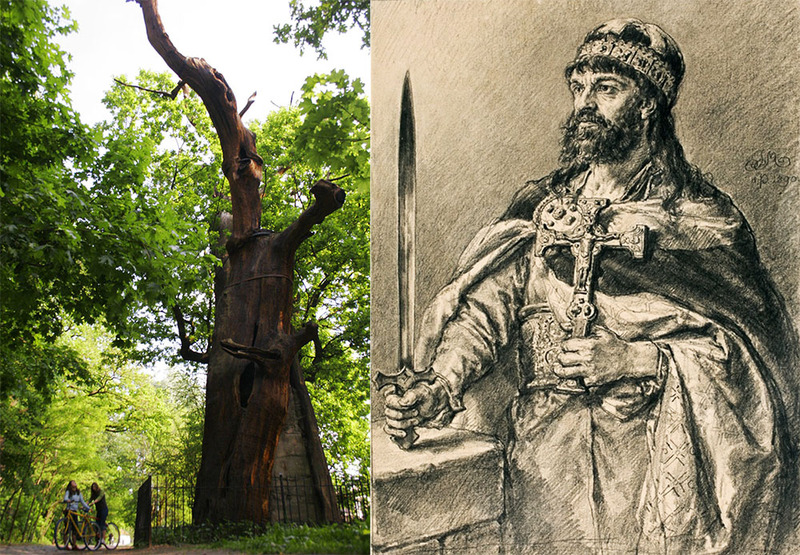 Below you’ll find a selection of seven such trees, all connected to noted figures in Polish history. 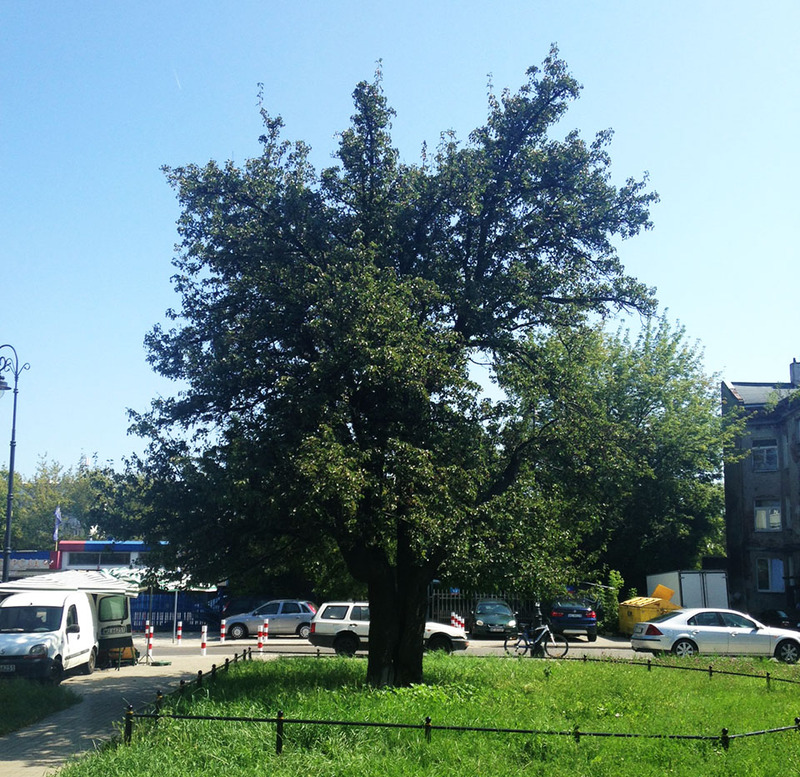 Nevertheless, the oak is the oldest tree in Warsaw. And that really shows – the poor old-timer can’t stand on its own anymore. Not only does it need a metal scaffold to support it, but it’s also glued together by a cement filling to make sure that the badly-cracked trunk doesn’t fall apart. Fortunately, these (and other such) artificial elements set up by nature-conscious folks have done their job – today Mieszko I is in good shape. Its majestic form rises 18 metres high and has an impressive trunk perimeter of over 8 metres. Located picturesquely just outside of the Natolin Forest, a nature reserve in southern Warsaw, the oak is a sight to behold, especially when it turns green. Next to it stands a newly-placed information board which quite rightly says ‘Respect the gravity of this tree’s age and history’. Jan III Sobieski, another Polish ruler, is possibly best-known for his victory in the Relief of Vienna in 1683, during which he saved the Austrian city from a huge Turkish force. Somewhat less known is that when the Polish king wasn’t busy winning epic battles, he liked to do gardening work on the premises of his fairy-tale-like baroque Wilanów residence, located in today’s southern Warsaw. Another tree named after a man of power, only this time of local, not state-wide authority. Walenty Ciechomski was the last mayor of a village called Mokotów, which is today one of Warsaw’s neighbourhoods. The village became an administrative part of the capital in 1916, but before that happened, in 1870, Walenty Ciechomski planted the pear tree in question. 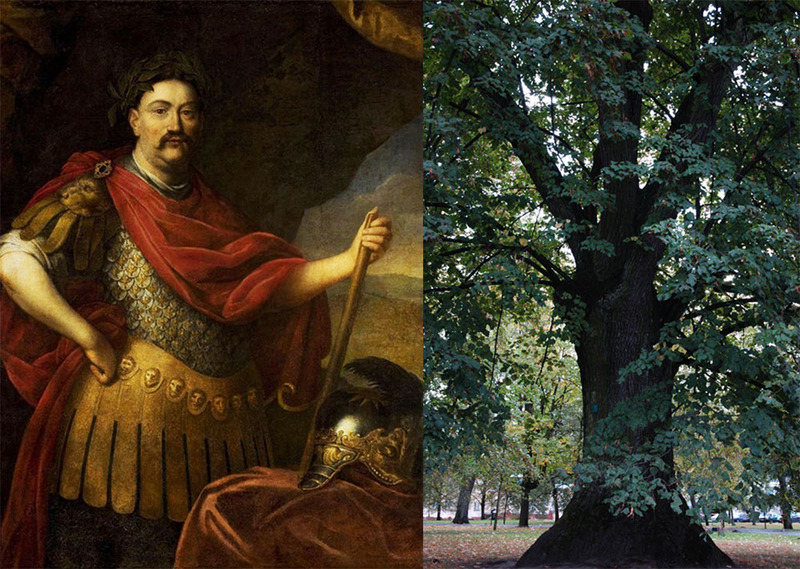 Like Sobieski before him, Ciechomski not only cared for trees but was also a valiant man. He fought in the January Uprising, a rebellion against Russian rule over this part of Poland and also in the Russo-Turkish war. His inconspicuous pear tree grows in a quiet corner of the neighbourhood at the corner of Racławicka Street and Bałucka Street, near to where Ciechomski himself used to reside. This just goes to show that sometimes there’s more to trees than meets the eye. Even though this plant looks like a shrub, it’s still classified both by dendrologists and in official city documents as a tree. Similarly to the aforementioned pear tree, it commemorates a figure of Warsaw’s local government, Sokrates Starynkiewicz, a Russian who acted as mayor of Warsaw in the second half of the 19th century. You may be wondering why there’s a monument devoted to an official of an occupying foreign power? The answer is that even though Starynkiewicz had been appointed to govern Warsaw by the Russian Tsars, he managed to gain the respect of Varsovians – after his death in 1902, 100,000 of them escorted his body to the burial ground as a sign of respect. The Russian earned their respect through his sensible governance, especially the intricate Warsaw Water Filters complex built upon his request. When it was completed in 1886, this huge water purification area designed by the British engineer William Lindley, was the most modern facility of its kind in Europe. The modest-looking Starynkiewicz Yew is located on the premises of the still-active filters, near the picturesque 19th-century water tower. The complex in central Warsaw, itself a fascinating monument of industrial architecture, is open to visitors on selected summer Saturdays (hyperlink). Dr Janusz Korczak was born in the late 1870s when Starynkiewicz was Warsaw’s mayor. Korczak is best remembered as the head of Warsaw’s Jewish Orphanage built in 1912 and as the author of the classic children’s book Król Maciuś Pierwszy (editors translation: King Maciuś I). During World War II, even though he had the opportunity to leave the orphans and save his own life, instead he stayed with them to the bitter end – they died together at the German Nazi death camp in Treblinka. 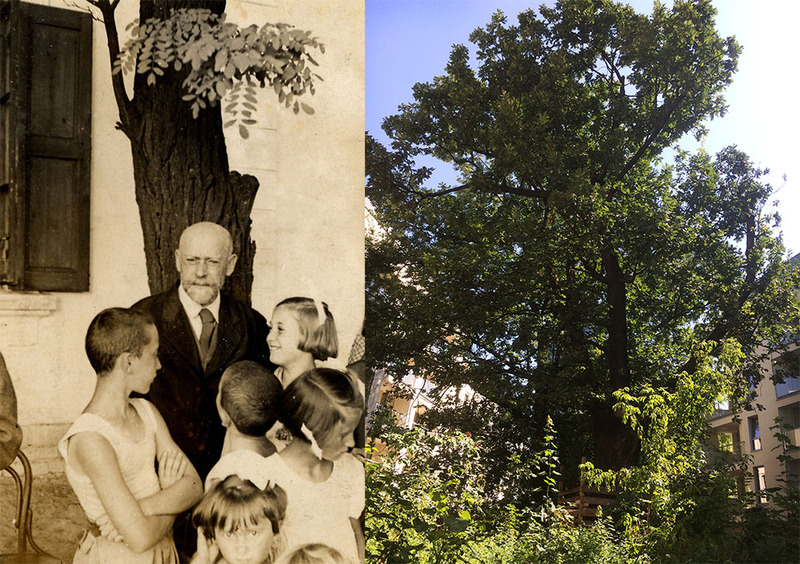 The 200-year-old oak devoted to Korczak stands in the Wola neighbourhood next to the orphanage’s building, which survived the war (today it also houses an orphanage, one named after the doctor). The steadfast oak in whose shade Korczak would lecture his charges on warm days is today 16 metres tall and has a trunk perimeter of almost 4 metres. During the Kościuszko Uprising, a Polish rebellion in 1794 against the foreign powers partitioning Poland, the park was completely destroyed. The duchess never rebuilt it and instead went on to found her famous English-style garden in Puławy in south-eastern Poland. The Duchess Izabella Trees monument in Warsaw is made up of 9 hornbeams, 4 lindens and a single poplar. 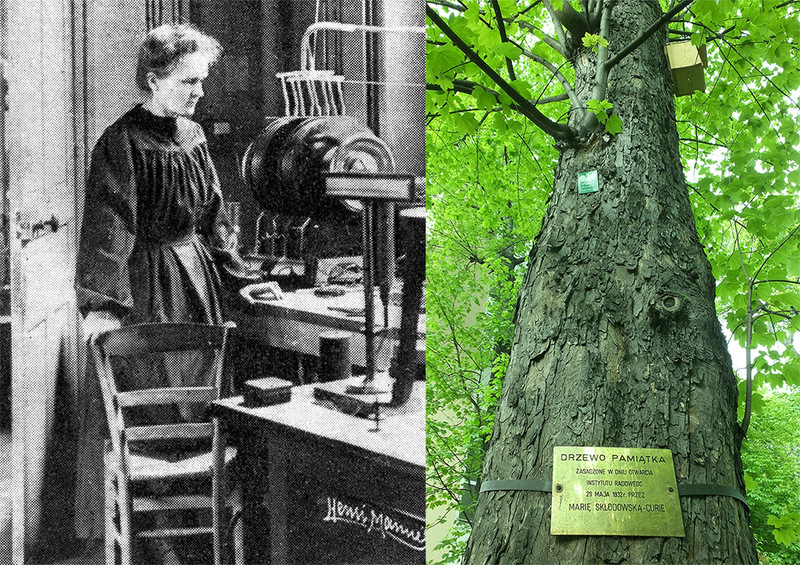 This tree commemorates Maria Skłodowska-Curie, the Polish scientist who received two Nobel prizes: in physics for researching the phenomenon of radiation, and in chemistry for isolating pure radium. She planted the tree herself in 1932, on the occasion of the opening of the Radium Institute, a research and medical facility in central Warsaw she helped create. For her sycamore, the scientist chose a planting spot in the garden next to the institute, an area she’s said to have held especially dear. The tree still grows in that garden, which is today neighboured by the Oncology Centre, a continuation of the Radium Institute. The Sycamore called Maria is 19 metres high and has a trunk perimeter of over 2 metres. It can be visited from Monday through Thursday after scheduling a visit to the park with the Maria Skłodowska-Curie Society. Author: Marek Kępa, August 2017. Krasicki poem translated by the author.